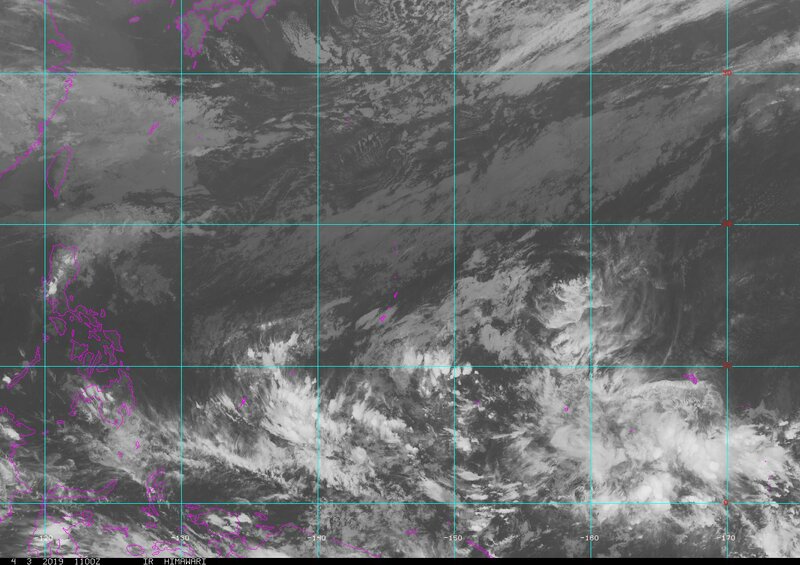 We can see our newly upgraded TD 03W south of Guam while another one is near the dateline that the models have been so reluctant on. Keeps it weak like the others. Maybe this is the real deal this time? 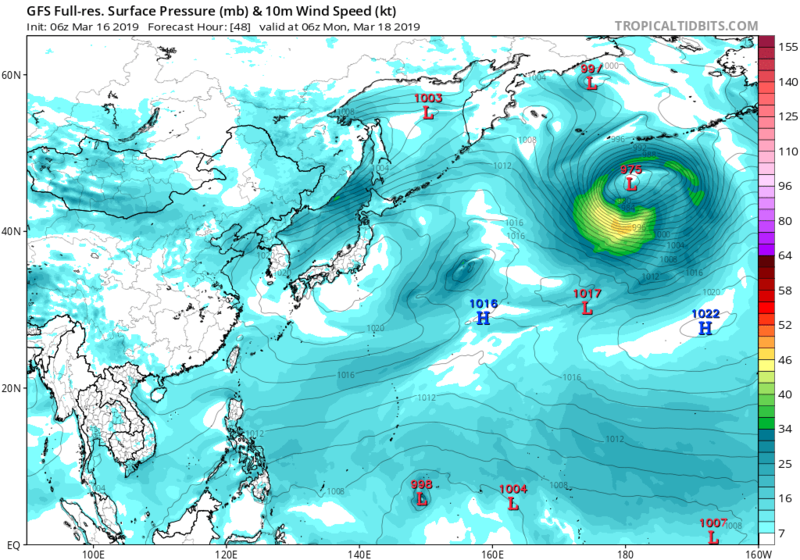 Soon as the -VP200 anomalies fully concentrate over the WPAC, the models will start spawning some bad boys. Looks like models are now acting up. Yeah EURO is now in agreement with GFS on a potential storm around the first week of April. 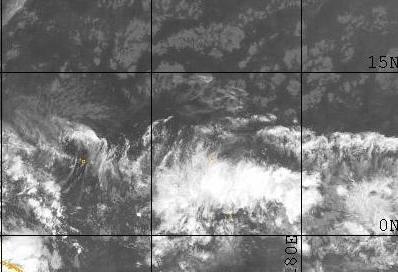 Models still hinting on a possible TC formation east of the Philippines or south of Guam. Keeps it weak though. 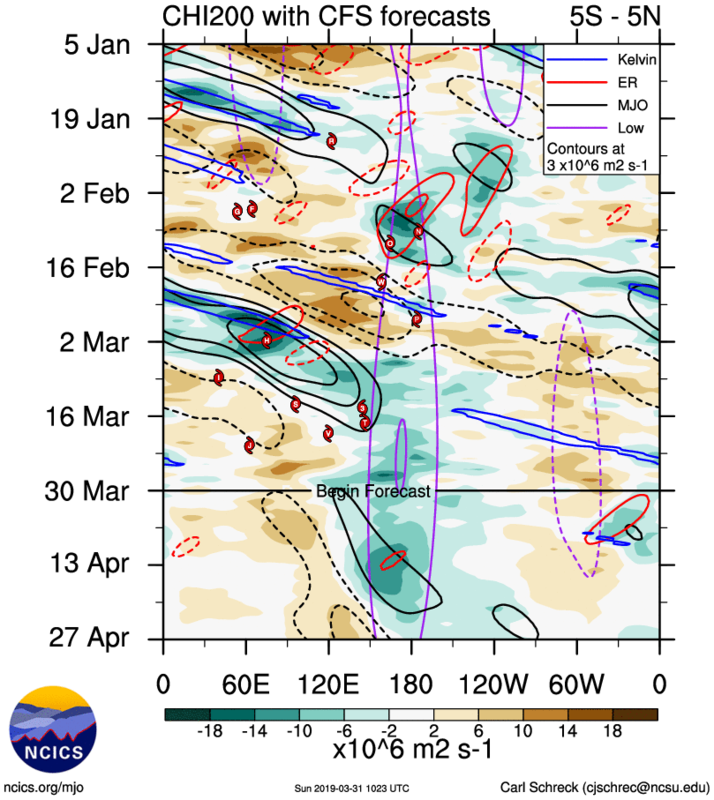 During the next two weeks as the remnant MJO signal moves over the Pacific, tropical cyclone formation is possible over the Northwestern Pacific, east of Guam. 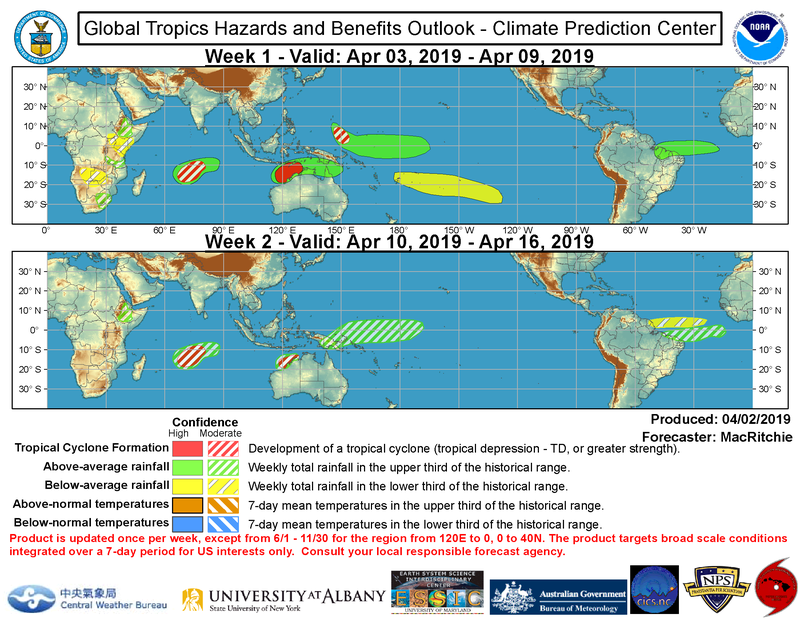 There is moderate confidence for formation in this region during Week-1. remains anchored in this location. Friday through Sunday. Don`t expect much more than that. On the annual weather outlook for Hong Kong in 2019, the tropical cyclone season may start in or after June this year. It is expected that there will be four to seven tropical cyclones coming within 500km of Hong Kong, which is normal. The annual rainfall is expected to be normal or above normal. Members of the public are reminded to take precautions in a timely manner. WPAC spewing out invest after invest. When is the next real deal? TC development in this region is favored mostly by the GEFS and UK models whereas the ECMWF does not show significant development. 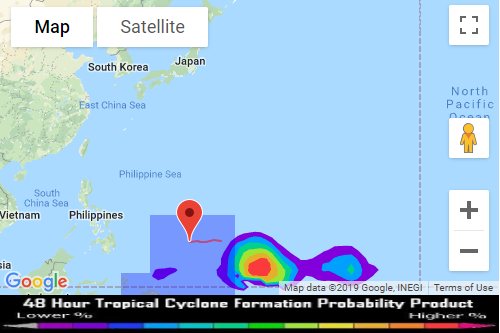 Interested parties, especially those in Guam, are encouraged to consult local forecast offices and tropical cyclone forecast centers for the latest updates. Nothing on the latest GFS and EURO runs. 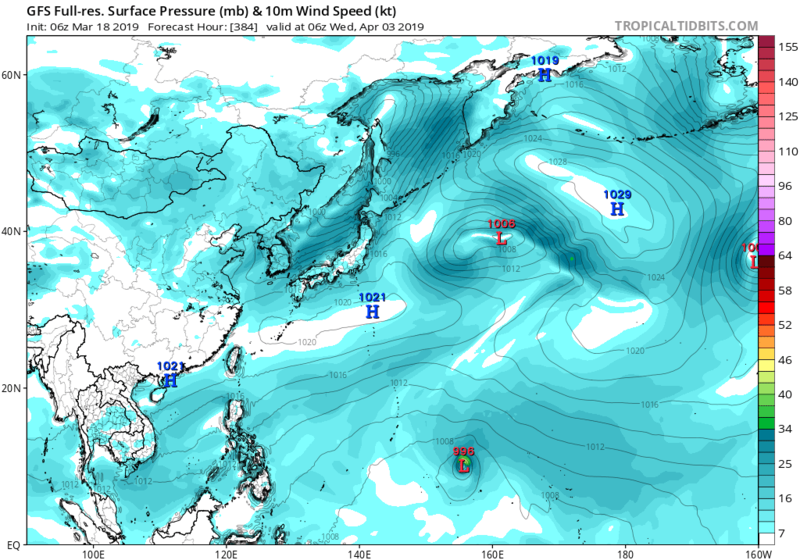 Looks like GFS is trying to wake up the basin middle to long range.